Want to know what’s going on in my closet? 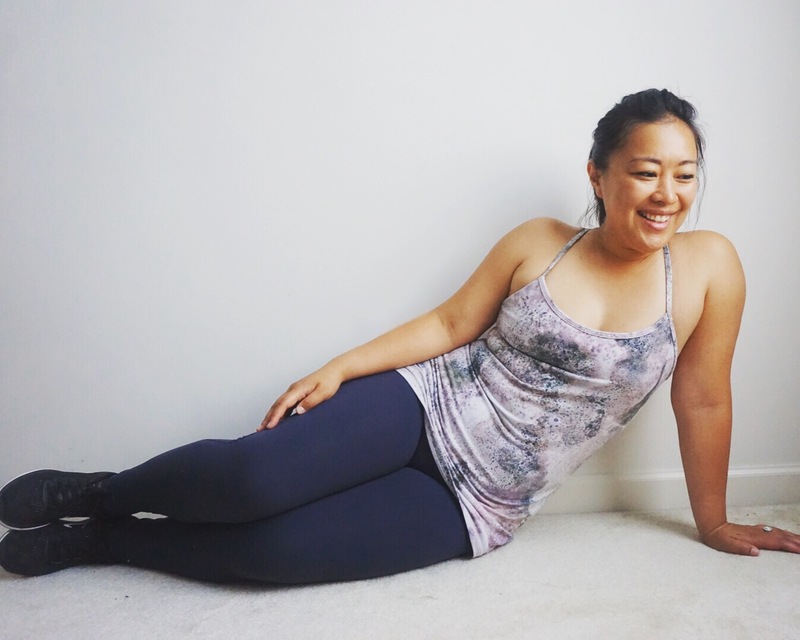 Check out my weekly wrap up of how it’s really going on! 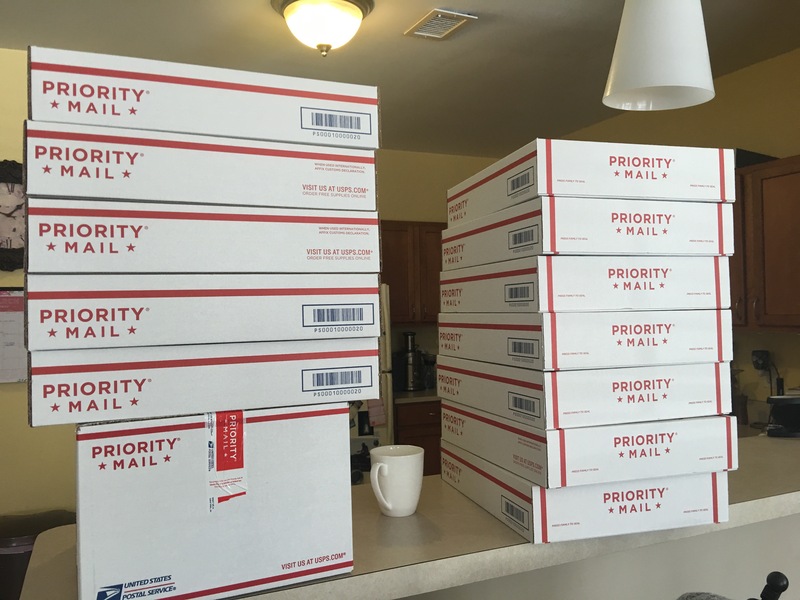 Summary: Sold $800 on Poshmark for the month already and it’s only Nov 10th, here’s how I did it. First off, sorry for those of you who were saddened by the election results this week. It came to a shock to a vast majority of people including myself. But whatever, we are all one country and we change, we move on, and it’s time to focus on moving forwards and making those sales we got Christmas people! 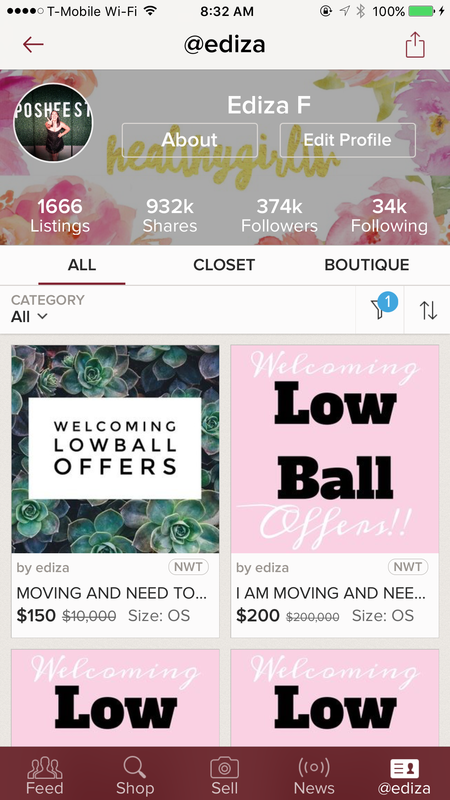 It’s been a bitchin’ time for Poshmark sales because this is the time when sales pick up like crazy! I’ve been hitting some MAJOR MAJOR breakthroughs that I would like to share with you because I officially broke $800 and it’s only the second week of the month! At Poshfest, there was a workshop called Poshmark Power Users. Which were led by the two very talented ladies: Lyn McLaughlin Cromar and Jessica Craddock who manage their own Poshmark Facebook Support Groups. 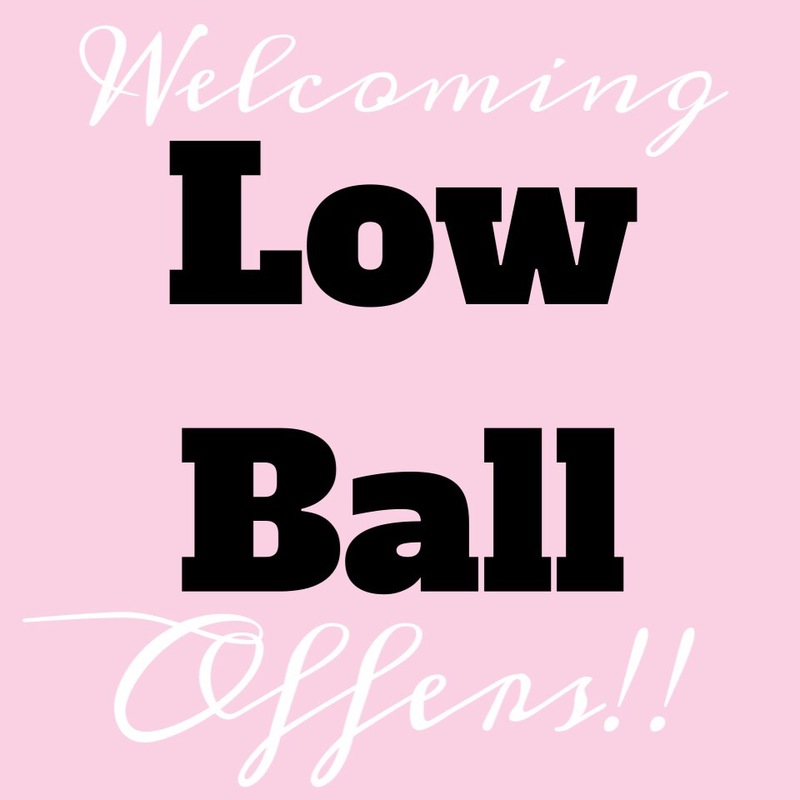 They suggested some tricks to boost up some sales and I am happy to report that they do work! After some major thrifting this past week, I have gone out on business and during my downtime to some pretty good thrift shops around the country and happy to report that the majority of my finds have brought in enough sales that they have already paid themselves off! One of the key things they mentioned, in addition to sharing, and to following…was LISTING!!! For me and my new inventory, I have made it a rule that I am NOT allowed to shop for my inventory, until everything that I previously purchased has been listed. Makes for a happy home! My husband starts seeing things go out the door instead of piled high in my office. His anxiety has gone down, and merch is starting to circulate! YASS!! One of their big suggestions was to list DAILY. Yes daily! I highly highly recommend it, because really it generates revenue for you, obviously, because if you don’t list it, it can’t be sold. But they mentioned that the constant activity in your closet will trigger the analytics of your account to increase your sales. So listing anything, they mentioned a pic of your dog, will help keep that constant activity, which will increase the likelihood of sales. NOW… I personally have no proof of this, it obviously would be in the coding somewhere, which I don’t have access to and wouldn’t know how to read anyway. But what I can give you is my own personal experience. Have I sold more sales using this method? Short answer: yes. Have I listed everyday? Yes. Have I put up listings of my dog? Sadly, no. I have double listed items in my closet on days where I didn’t have anything to list, which is something they mentioned to try to do as well and it works! I also have changed up how I list things. I stick with the white background that I have mentioned for cover shots, so that is what I have transitioned into since the chevron days! Just a hint of what I have already sold from my closet this month on Poshmark! I do think you should try it out, you may increase your sales, but for me, it’s going real well. This shouldn’t however deter you from following and sharing other closets as well as your own, this should be in addition to what you already do. Remember to limit your activity to peak times and you should be all good! If you have any questions, feel free to drop on by and put em down below. I say that because I actually need comments on these posts so please please please try not to comment on the FB post or on my listings on Poshmark. Also if you have gotten this far, please like the post as well, it helps others find the information too! THANK YOU FOR YOUR HELP!!! My Week In Sales – Men’s Items Are Hot! Just wanted to do a quick Poshmark blog post today and share some of my weekly trials and triumphs. This past week was pretty good, Ryan and I did some last minute shopping for the week and while we were out we snagged a few men’s fashion items that we wanted to re-sell. I posted them up within 24 hours and within the week BOTH items sold! I absolutely couldn’t believe it! It sold faster than my $30 Twilight jacket from BB Dakota (which was severely underpriced btw)! But I’ve only had 3 items in my closet that were men’s and to have 2 of them sell so quickly?! Just WOW!! If you’re handsome hubby has clothes to re-sell get em to start modeling because MEN’S ITEMS ARE HOT!! 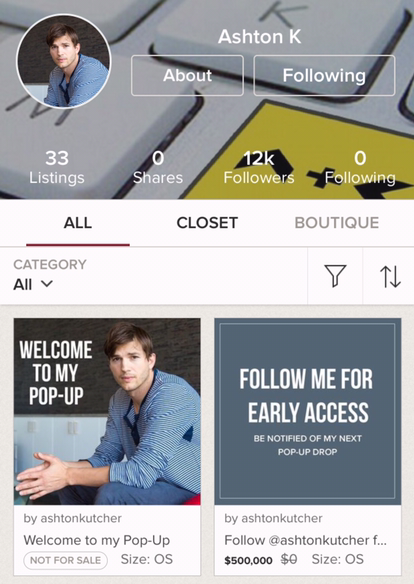 Also with Ashton Kutcher’s Pop Up shop it’s causing a new influx of male users and shoppers. Not to mention his whole closet sold in less than 2 hours. I mean my husband wants to start up on Poshmark now. He’s got the bug!! Be sure to check out part 2 of Ashton’s pop up shop today at 12pm PST! Do me a favor, if you read this post, or any of my posts please ‘like’ by clicking the star icon under the title! Thank you very muchooooo!! Spent: I don’t know but more than what I earned! It’s been awhile now since I’ve done some major price drops since the last time I listed. I always make it a pattern to drop my closet down after two weeks of listing it and seeing how things sell. It’s been quite some time because I’ve listed things separately on different times that I forgot entirely when I listed certain items. This week though, I thought it was an ideal time to drop, mainly because it was the holiday weekend and definitely not because I shopped my heart out last month 😁.